The Joint Commission wants laryngoscope blades covered, but Anesthesia and Emergency Services need them loose. What should we do? The Joint Commission Standards FAQ on laryngoscopes Standards FAQ on laryngoscopes Standards FAQ on laryngoscopes says their surveyors will check to be sure that your laryngoscope blades are cleaned, disinfected or sterilized, then packaged and stored in a way to prevent recontamination. Makes sense, right? If you were the patient, you would want the laryngoscope blade that is about to go deep into your throat to be very clean. So why was it common to find laryngoscope blades loose in anesthesia and code cart drawers before this new standard? Simple. When laryngoscopes are needed they are generally needed very quickly and therefore it is best practice to check the laryngoscope blade light functionality at regular intervals. This means making the connection between the laryngoscope blade and laryngoscope handle, which contains the power source. Bulbs fail and batteries die, so laryngoscope blades on code carts and in emergency services should be checked each shift. Likewise, Anesthesia wants to be sure all their laryngoscope blades are in working order before the patient arrives in the operating room. Seal the blades in packs and don’t check the lights. This practice is fine until you need a blade for an emergency and it’s not working. You will pass your TJC survey but may put your patient at risk. Open the pack, check the blade with a gloved hand, and then place in a new pack. This increases contamination risk and produces a lot of wasted peel packs and gloves. Crack the pack, carefully slide the blade base out and connect to the handle without touching the blade, then return to the same partially opened peel pack. It’s tricky, and far from ideal since you don’t know who may have touched that blade, or dropped it on the floor by accident. Re-sealable Plastic Bags: They are cheap and do the trick but you have the same concern over of aseptic handling as you do with peel packs. Sandwich bags are not validated for sterilization and would melt in steam anyway. If you are willing to reprocesses blades loose, then package and check them using aseptic techniques each time then these could be your solution. Single Use Blades: These “one and done” tools are unlikely to fail, and therefore there is little need to check their functionality. They come prepackaged and ready for use. The trade off is a significantly higher per use cost and increase to our landfills versus reusable blades. Single use blades are generally not as high quality as reusable blades either, and therefore not preferred by the user. Laryngoscope Blade Covers: Laryngoscope blade covers have been gaining in popularity. They keep your blades covered and allow you to check your lights without opening the package. 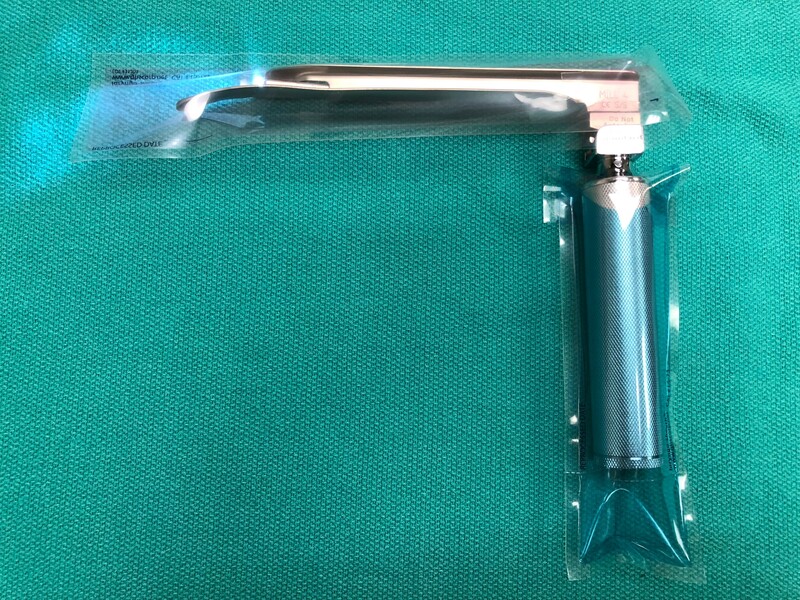 The laryngoscope blade covers are compatible with steam sterilization, gas plasma sterilization and can also be used with high level disinfectant (HLD). The trade-off is a slightly higher initial cost versus plastic bags and some peel packs, but the reduction in reprocessing of unused blades is likely to provide savings.